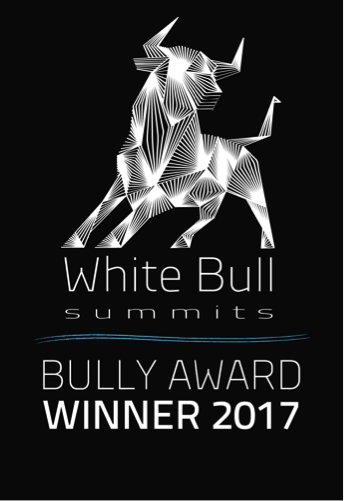 LONDON - June 14, 2017 - PRLog -- PremFina Ltd, a U.K. based insurtech company, was announced as a winner of the 2017 Bully Awards (http://whitebull.com/award/2017-bully-awards) at the White Bull Summits' (http://whitebull.com/) seventh annual Pathways (http://whitebull.com/event/pathways-2017) event, Europe's exclusive event for technology entrepreneurs and investors. The Pathways awards gala, which took place on 7 June 2017 in Barcelona, saw PremFina secure the prestigious title in the Longhorn category, awarding post-Series A and growth stage Technology, Media and Telecoms (TMT) companies. PremFina's Software-as-a-Service enables the financing of insurance premiums in the U.K. insurance market. A total of 60 European companies were shortlisted as finalists for this year's Bully Awards, selected from a pool of nearly 500 entries. PremFina, one of thirty deserving winners, was selected by a panel of notable journalists and industry experts. The full list of the 2017 White Bull Bully Award winners can be seen here (http://whitebull.com/latest/our-2017-bully-award-winners). Elizabeth Perry, Co-founder and Creative Director of White Bull Summits, said: "Year-on-year we're always impressed by the standard of entries and overwhelming interest to the Bully Awards. This year's submissions were particularly strong in the Nordics and the UK, emphasising the huge amount of entrepreneurial talent coming out of Europe. It's also great to see our judges impressed and excited to witness a new evolution of technology businesses step into the spotlight and spur on Europe's innovation scene." Bundeep Singh Rangar, Chief Executive Officer of PremFina, said: "It's been a true team effort to get to this point of success and win the prestigious 2017 Bully Award. To be recognised as one of the leading new insurtech companies in Europe, only motivates us further to work even harder towards achieving our goals." PremFina supplies insurance brokers with their own branded premium financing through the provision of both the software to manage the sale of broker-branded insurance policies to consumers and businesses as well as financing from third parties, to enable brokers' customers to pay their policy premiums via monthly instalment plans. With PremFina, brokers receive higher profit, greater autonomy and opportunity to increase the lifetime value of their customers as well as the chance to cross-sell and up-sell additional products. White Bull Summits celebrates and champions European Tech innovation, connecting the innovators with the global investment, corporate development, services and resources they need to succeed. Built upon the extensive knowledge and network of its founders and advisors, and in the spirit of the "wily beast" inside all successful businesses, White Bull brings together the best and the brightest – Europe's top technology and media leaders, entrepreneurs, visionaries, global investors, thought leaders, and global icons. For more information, please visit White Bull at http://www.whitebull.com (http://whitebull.com/), like us on Facebook (http://www.facebook.com/whitebullsummits) or follow White Bull on Twitter @whitebullsummit (http://www.twitter.com/whitebullsummit).